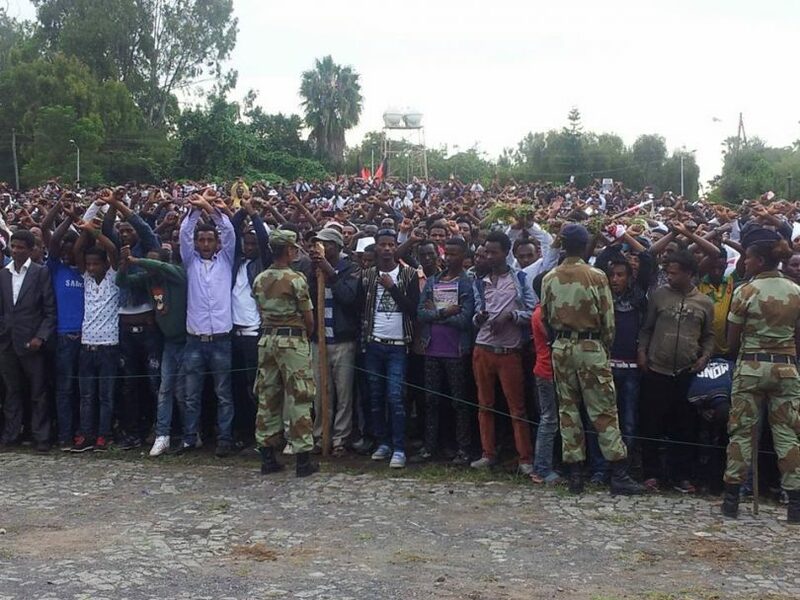 But chaos, confusion and stampede broke out in the early afternoon when the youth booed the newly elected chairman of the ruling Oromo People’s Democratic Organization, OPDO, off the stage. This was followed by an attempt to hoist the ruling party’s flag on the stage, which the protesters opposed. The protests began as soon as the crowd filed into the malka, the river bank, close to the stage where politicians hoped to make political statements – statements that are often unheard and unheeded even on a “normal” year. It’s clear that the youth were ready to make a statement of their own to the local officialdom – in an unusual in your face type of way. But their protests were peaceful. They crossed arms, forming an X, popularized by Oromo marathon runner Feyisa Lilesa, to say no to the killings, beatings and arrests. It is an incident like no other. 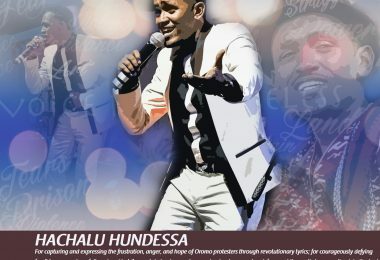 A turning point for the 11-month old Oromo protests, a popular uprising against the Oromo people’s continued social, economic and political marginalization by the central government in Ethiopia. The massacre at Bishoftu is the only one any where in the world where upto 500 people were massacred in a single day. all of us have to examine our conscience and take a stand how we can contribute to stop such calamity after calamity facing our country. I particularly want to address my message to oromo political leaders in the diaspora. It was sad to see some oromos recently going to demonstrate in washington dc carrying oromo flag in one hand and US flag in the other hand. Do they know why Ethiopians are being attacked , massacred, evicted, displace . 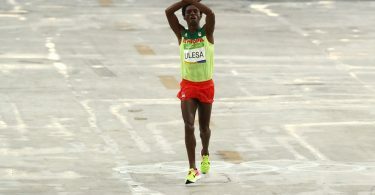 it is because we rejected our Ethiopian identity. we rejected Ethiopia under the lie and deception of woyane fascists. reclaim your Ethiopian unity and identity if we want victory over the fascists. 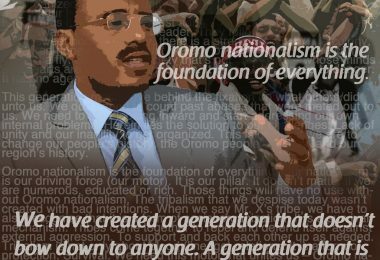 Especially, those oromo political leaders in diaspora, who isolated the oromo generation from its Ethiopian roots, who preached that oromo is not Ethiopian must wake up. you should reject your views that amhara is the enemy of oromo. tell the truth to the people and bring the people into the Ethiopian fold. carrying oromo and american flag and demonstrating outside the white house wont achieve anything. 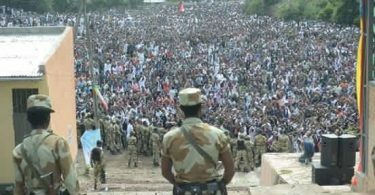 we must unite as Ethiopian, there is no one road for oromo, another for amhara , and another road for gambella or ogaden. You have to understand that we have the same issues and must fight together. OROMOS OF THE PAST GENERATION, died for Ethiopia, died carrying Ethiopian flag, they never doubted that they were Ethiopians first and foremost. they achieved freedom for us because they fought together with the amhara, gurage, sidama etc. why do we have to reject this identity now. the moment the oromo leaders in the diaspora turn to Ethiopian identity this should mark a turning moment for the struggle.